99% Honest is an astonishing evening of Cabaret Magic with sleight-of-hand artist Peter Gross. Combining the improvisational skills of a stand-up comedian with the quick hands of a pickpocket, Peter performs his mind-blowing illusions live and up-close, creating a once-in-lifetime experience. Hailed by audiences as far-flung as Germany and Japan, and as close-to-home as Microsoft and Harvard University, Peter Gross is recognized as a master of misdirection and mentalism. His new show is the perfect date night or memorable outing with a group of friends: it will leave you speechless and then dying to share your thoughts with others. Peter’s has been invited to the White House, performed at the Kennedy Center, Canada’s National Theater, and has made numerous TV appearances. He has performed in Canada, Australia, Spain, and Scotland. He also won two silver medals at the Oranjeboom International Variety Performer’s Competition in Rotterdam, Holland. Do you really trust this guy to pick out your entertainment? There was a time when, if you were looking for a comedian, magician or other talented individual, your first step was to find a qualified talent agent. They were trusted professionals whose sole job was to have file cabinets of 8x10s and resumes of talented acts and they would hand-pick a juggler or singer for your holiday party or professional event. And how would you contact them? You would crack open the yellow pages, and find their display ad. Are you catching my hints? Yellow pages, file cabinets, 8x10s, printed resumes? All this stuff has gotten replaced by the internet and to be honest so has most of the value of talent agent. In the past, seeing an act meant arranging an audition or traveling to a venue where you could see them live. Photos needed to be reproduced and mailed, in pre-printed envelopes. But this is 2016 folks, and now you hardly need help to tell if an act has what it takes to make you and your group laugh. If you’re already on this page, congratulations! Why not start by checkout out what corporate comedian Peter Gross might do for your next special event? 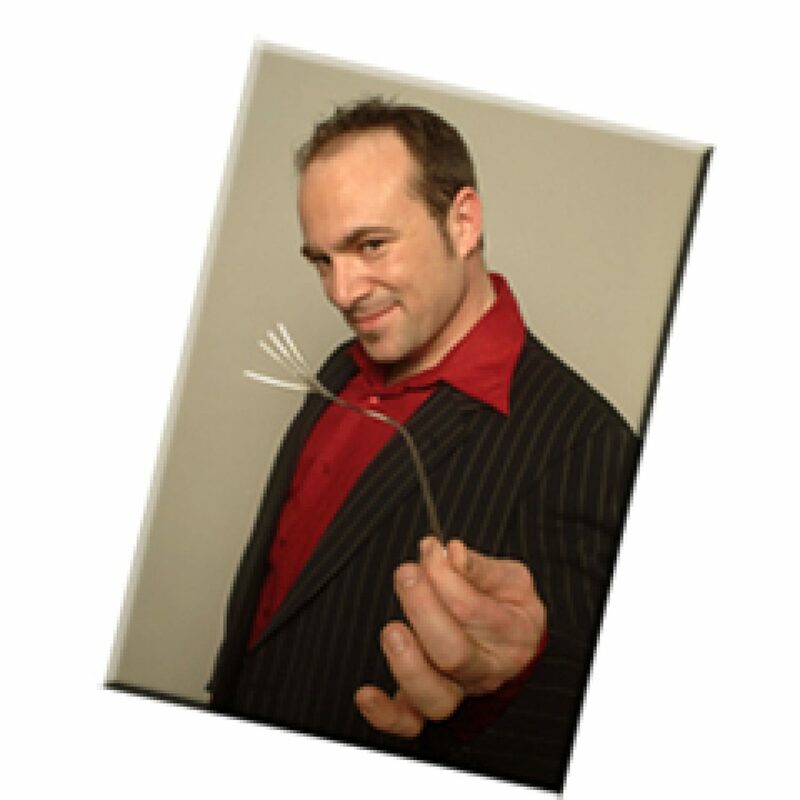 The holidays is a time for gifts, so I Boston Mentalist Peter Gross have a gift for you. But I’m a professional sneaky person ( or is that professional sneak? sneaker? I digress) so my gift for you is also a gift for me. I love mentalism and all my new and most amazing material is themed around exploring the powers of the mind. The only problem is: mentalism needs an audience to be perfected. So for 2017, I will be saying “Yes” to smaller gigs that in the past I would have handed to other quality acts. I want to be ‘out there’ bringing my newest stunts, including mental metal bending ( seen here) to audiences large and small. Call today to book a show and you’ll see how mentally flexible I can be. Just try me. This morning, first thing, you will pre-heat the oven for this year’s Thanksgiving Feast. So that means it’s time to talk about Holiday Shows!!! This year may be the first where I get more requests for Mentalism and Mentalist shows rather than Magic or Hypnotist shows. That’s just fine with me! For year’s no one but magician’s used the term Mentalist. I’m not even sure if I know who coined the term: David Berglas? Dunninger? But for years most people just called it Magic or Mind Reading. Even when David Blaine started using the concepts and techniques he never called it Mentalism: He was just David Blaine being David Blaine ( ahh to be a big enough of a star to be self defining). For the ‘rest of us’ it all started to change with the TV series ” The Mentalist “. Of course in the series Thomas Jane’s character wasn’t a performer and didn’t have ESP, just a keen mind and good skills. A lot of acts claim to be the ‘inspiration’ for that character, but I think we all need to give a nod to the real innovator Derren Brown. 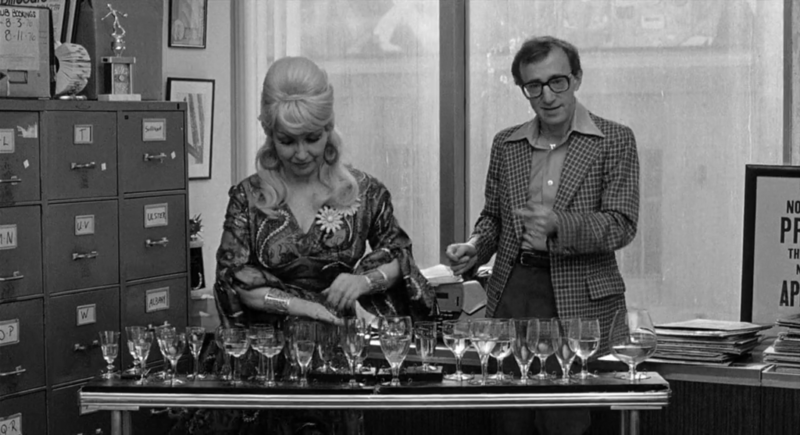 He’s the modern performer who, as far as I can tell, first linked his feats to a deeper understanding of psychology and hypnosis. Of course he’s in England ( and quite busy ) so if you want an act for this December, might I suggest someone a bit closer to Boston ( hint, hint ). 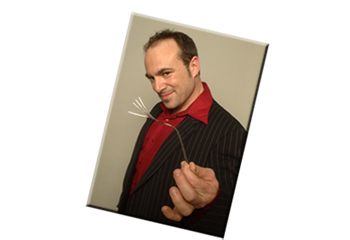 Need to hire a street magician to stroll around your event and perform intimate magic? Fascinated by TV magicians like David Blaine and want to see magic done right under your nose? Mind-blowing card tricks, inexplainable stunts with borrowed objects like keys, watches, paper money, business cards. Want to give your guests an experience that they will remember long into the new year? It helps when two people are speaking the same language. I don’t mean to complain (I say as I begin a rant) but before David Blaine there was no such thing as ‘street magic’. I mean there WAS, because at the time I was a street magician. I guess I need to explain. When I graduated college, I knew I wanted to be a professional magician. At the time the standout acts in comedy magic were Harry Anderson ( who some of you may remember from “Night Court” and The World According to Dave”) and Penn and Teller ( who most know as “The Tall Loud One” and the “One That Never Talks”). From reading their profiles, I knew that both of them had spent time performing on the street, for tips. You can imagine the scene: a busy pedestrian way or a set of stairs in front of an historic building that naturally form rows of seating for tired tourists. A crowd of folks surrounds an oddly dressed fast talker. At regular intervals the crowd erupts with laughter and applause. At the end the performer thanks the crowd and ‘passes the hat’, This was street magic. The emphasis was on comedy and shocking visuals. Harry Anderson finished a card trick by dropping his vintage zoot suit pants to reveal giant polka dot boxers, Penn ‘accidently’ stabled Teller through the center of his hand with a switchblade, The Amazing Johnathan cut his own hand off. Jokes needed to be yelled or at least projected like a Shakespearian actor. Then suddenly David Blaine’s first TV special was broadcast and everything changed. He didn’t dress in a costume, just jeans and a tee-shirt. He didn’t bother to gather a crowd or tell jokes, he just wandered the streets of New York city and approached people randomly. Who was this guy? He seemed less like a professional performer and more like that guy from Kung Fu ( wow so many 1980’s references in one post!). But I soon realized Blaine was at the avant-garde. He was inventing something new “Street Magic” and the people who responded to him, and watched his tricks weren’t impressed by some random in jeans and a black t-shirt, they were responding to a guy who was walking around with a production team of camera people, lighting people, a sound boom operator and a couple of production assistants there to fetch coffee and keep traffic under control. So call it street magic if you want, I’ll just call it magic. It seems like retailers are constantly pushing the calendar back. Last week I saw Thanksgiving themed displays in my supermarket, and it’s not even Halloween. Of course I have been on this trend forever, we never take down our Christmas lights because we start prepping for Christmas on Dec 26. 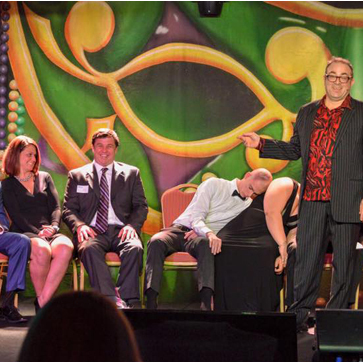 The point is NOW IS THE TIME TO BOOK HYPNOTIST PETER GROSS FOR YOUR HOLIDAY PARTY. My calendar is still relatively open (although the cruise ships have reserved one week in the Caribbean). Without realizing a majority of people often choose the same date for their holiday event. So if you’re looking for real quality entertainment, and a show that clean and funny, contact me now. Wecome to the new home of Magician, Mentalism and Hypnotist Peter Gross. Several years ago Google announced the obvious: more and more people were searching for everything, including comedy hypnotists, on tablets and phones. My old site looked great on a laptop or desktop, but on a phone it looked…unfortunate. Now no matter what type of device you use to surf (except maybe an actual surfboard) this site should provide the best material on hiring or booking a hypnotist show for your next event.